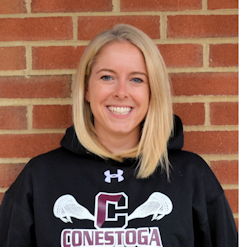 This is Coach Orcutt’s tenth year as Head Coach with the Conestoga Girls Lacrosse program. Prior to Conestoga, Coach Orcutt coached at The Agnes Irwin School, leading them to the Inter-AC Championship title in 2006. Upon graduation from Conestoga HS in 1997, Amy continued her lacrosse career at The University of North Carolina. She participated in the 1998 NCAA Final Four at UMBC; she was a member of Team Deep South in the National Tournament in 1999. In 2000, Amy was a member of the ACC All-Tournament Team, ACC Player of the week, All-ACC Academic Honor Roll and was the 2nd leading scorer on the team. Amy was named Nike Player of the Week senior year, ACC Player of the week, and was a Senior All Star. In 2000, Carolina advanced in the NCAA quarterfinals and lost to Georgetown. In 2009, Amy was inducted into the T/E Conestoga Athletic Hall of Fame for her accomplishments in the sport of lacrosse. In 2012 and 2015, Coach Orcutt was named “Coach of the Year” by the Daily Local Newspaper and in 2014 Coach Orcutt was the assistant coach to the Philly Under Armour team. Coach Orcutt led Conestoga to win the Central League Championship in 2015, 2016 and 2017. In 2015 she led Conestoga to the their first ever State Championship Game, losing to Garnet Valley. Coach Orcutt then led the team to their first ever State Championship win in 2016. In 2017 Orcutt led Conestoga to win the District Championship. Chad and Amy are the proud parents of Jackson, Price, and Tilly. Meaghan Klagholz is a ninth grade Advanced Placement and Honors World History teacher at Conestoga High School. She was also the assistant varsity field hockey coach at Conestoga. Klagholz also helped to lead the field hockey team to four undefeated Central League Championships. This is her thirteenth year with the lacrosse program. The lady pioneers claimed an undefeated Central League crown and advanced to the PIAA State Championship in 2015 for the first time ever, winning in 2016. The Lady Pioneers were District Champions in 2017 and won the Central League Title in 2015, 2016 and 2017. Klagholz graduated from Wissahickon High School in 2001, where she played field hockey and lacrosse and was the team captain of both. Klagholz was named to the All Suburban One League teams in both sports her junior and senior seasons. She also ran indoor track. Klagholz went on to play lacrosse at Bloomsburg University for 4 years. She helped the team advance to Pennsylvania State Athletic Conference Championship Game all 4 years. In Coach Klagholz’s sophomore year she helped the team win the PSAC Championship game and advance to the Division II NCAA final four! Klagholz was a Bloomsburg Scholar Athlete and Pennsylvania State Athletic Conference Scholar Athlete from 2002-2005. She was also an Intercollegiate Women’s Lacrosse Coaches Association Academic All-American in 2004 and 2005. 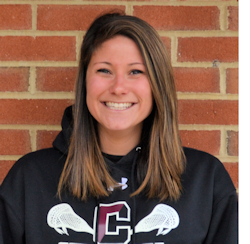 This Coach Murphy’s sixth year as the Varsity Assistant with the Conestoga girls lacrosse program. 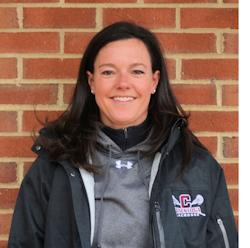 This isn’t Coach Murphy’s first time on the sidelines for the Pioneers, as graduate student during the 1994 and 95 seasons, she was the JV girls lacrosse coach and assisted the Varsity as well. After she received her masters degree, she became a high school guidance counselor and Varsity Assistant at Brandywine High School in Wilmington, DE for two years. From Brandywine she went to Lower Merion High School where she was a guidance counselor, the Varsity Assistant for the girls lacrosse team during the1998-99 seasons and the Varsity Coach seasons 2000-2002. Coach Murphy continues to volunteer her time in the community through her position on the Quix Stix lacrosse board. After graduating from Conestoga in 1987, Coach Murphy went on to play field hockey and lacrosse at the University of Richmond. She was a four year starter and was named to the 1st team All CAA Conference her junior year, and selected to the Division I Senior All Star Game her senior year. Samantha and her husband Peter currently live in Berwyn and are the proud parents of three sons, Brendan, Toby and Brody. Allegra is a graduate of Conestoga High School and Drexel University where she received a degree in elementary education. She graduated from Conestoga in 2007 where she played field hockey and lacrosse. She helped lead Conestoga to two PIAA District 1 championships. She went on to play Division I lacrosse for Drexel for four years. She helped her team make it to the Colonial Athletic Association conference championships for the first time in school history in her senior year at Drexel. All four years at Drexel she received the Commissioners Academic Award. Jaclyn has been Conestoga’s JVA coach for 7 years. She is currently teaching Fourth Grade at Valley Forge Elementary. She graduated from Conestoga in 2007 and went on to play lacrosse at Drexel University, where she was team captain her senior year. She helped lead Conestoga to two PIAA championships. She also helped lead Drexel to the CAA championship tournament for the first time in history her junior year, and again her senior year. All five years and seasons at Drexel, she achieved the Commissioners Academic Award. 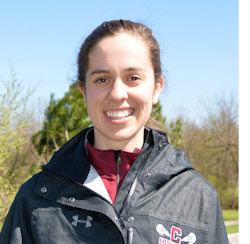 Leah is a Chemistry teacher at Conestoga High School and this will be her sixth year as the JVB girls lacrosse coach. She graduated from Chichester High School in 2009 where she was a four year varsity starter in lacrosse, soccer, and swimming. After graduating, she attended West Chester University. At WCU, she played club lacrosse before committing full time to water polo. 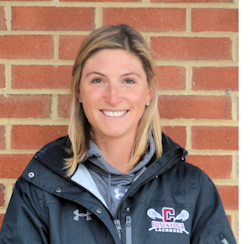 Prior to coming to Conestoga, she coached lacrosse at Sun Valley High School. In addition to lacrosse, Leah has been coaching swimming for the past eleven years. 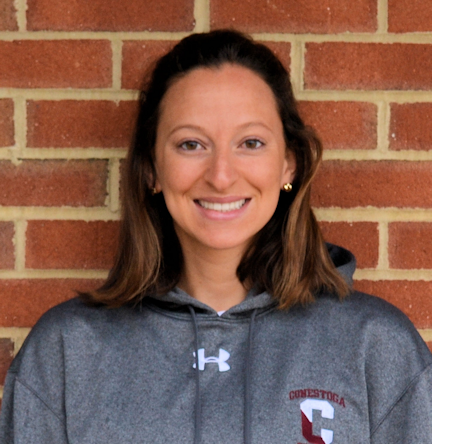 She is currently the assistant varsity girls swim coach for Conestoga.